The end of another year on the patch approaches. I don't know why we birders concentrate on our 'year lists' as much as we do. It is just another date in the calendar after all and doesn't really relate to natural seasons at all. For me, a patch year list gives me a new challenge, an impetus to get off my arse in January and February and go bird watching on the patch. So regularly starting a 'new list' to keep giving me something to aim for needs a start and end date, so I guess January 1st makes sense. Another way to keep interest fresh would be to change patches every few years. This would be interesting, but I think for it to work, I would have to move house, so that my new patch was closer home. I have mulled over the thought of a on-foot-from-home patch, a triangle between Ellington, the Lyne Burn and Cresswell. 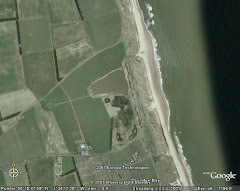 It would certainly have the potential to turn up new birds but I think the people and the activities they get up to on this patch puts me off, it would be even be worse than Druridge. So for 2014 at least, I will stick with what I've got. I've signed up for next years patchwork challenge now, so I may as well. So back to this year, even with likelihood of adding anything to my year list diminishing, so had yesterday's storm, so I had a mooch around the patch. Nothing stirred in the bushes other than the goldfinch flock and a small roving tick flock and there was nothing new on the Budge fields On the big pool, there were still two long-tailed ducks and a 'female type' common scoter. Offshore, there were lots of red-throated divers again, easily 45 in the bay. As I scanned through them, a bigger diver was its own and it wasn't a great northern, it was a black-throated. Not a common bird at all at Druridge, but there has been a few around this autumn, there was even one on East Chevington this morning. This is my first patch black-throat since 2010 and a welcome, if late, addition to the year list. A further scan also turned up a great northern further south and a harbour porpoise. 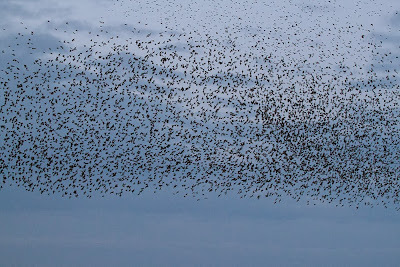 This evening I went to East Chevington for the starling murmuration. It was nearly 3.34pm before things got going with a small group of a couple of hundred birds. Small flocks seemed to arrive to join them from all directions and by 4pm there were thousands. It was very windy but the display was still excellent. count them! some of the murmuration. 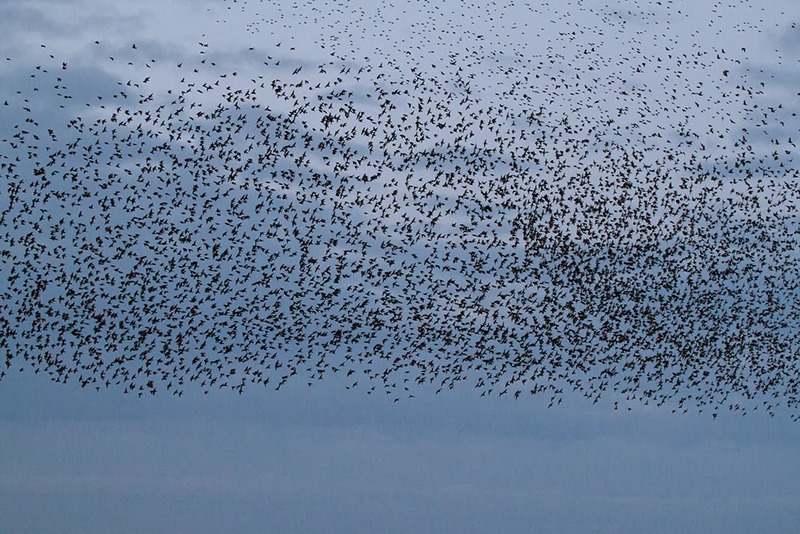 Word is out about the murmuration and there was quite a crowd tonight. I took this video, which is just some of the birds. Might try some video on the SLR if the wind drops.